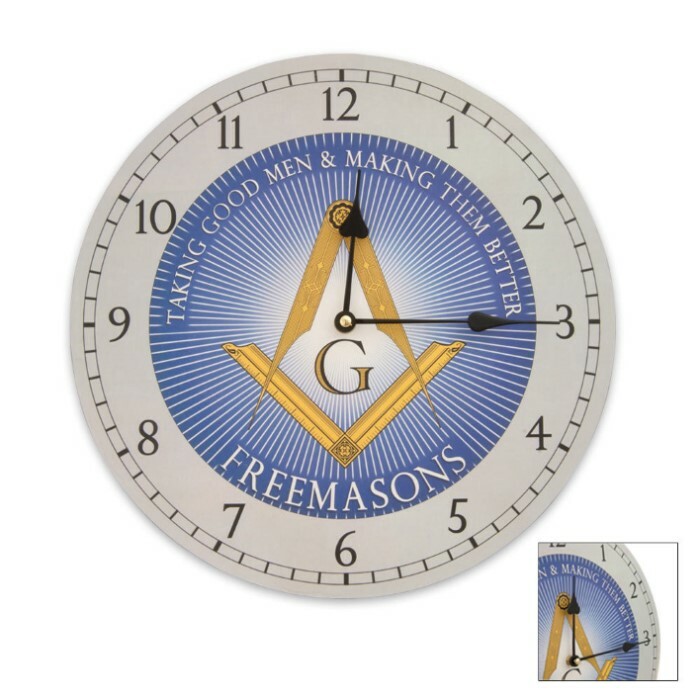 This working wall clock is accented with a Masonic logo and the saying "Taking Good Men and Making Them Better." Measuring 13 in. in diameter and featuring wood construction and quartz movement, this clock is great for any Mason.